THERE ARE cities all throughout Switzerland. And while all are unique in their own way, there are two that absolutely take the cake. 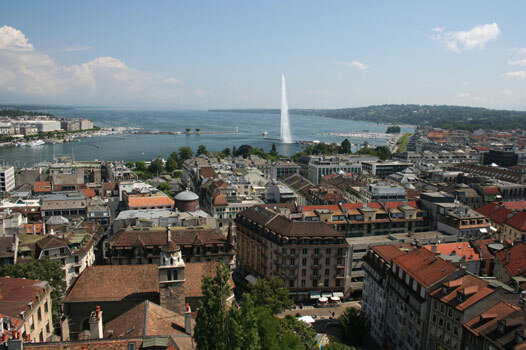 These cities are Z�rich and Geneva. Z�rich is a city whose reputation precedes it - and does it a complete disservice, trashes its name, gives it a good kicking. A boring banking capital? it certainly no longer does. Contemporary Z�rich might still be home to the world's fourth-biggest stock exchange and remain Switzerland's financial engine, but it's also (whisper it softly) surprisingly vibrant and trendy. Located on a picturesque river and lake whose water you can drink, easy to get around and a stranger to the hassled lifestyle that defines bigger cities, this affluent, fashion-conscious place enjoys the finest things in life. Hundreds of new bars, restaurants and clubs have opened since the late 1990s and, since its Street Parade overtook London's Notting Hill Carnival, Z�rich now hosts Europe's largest annual street party. Its former industrial quarter brims with nightlife venues catering to a youngish crowd, and this happening 'Z�ri-West' district has the same buzz as Berlin's Prenzlauerberg or Mitte. The infamous 'gnomes', as the British like to call Z�rich's bankers, are still here, but sometimes they can astonish you by whizzing by on a Segway scooter. Super sleek, slick and cosmopolitan, Geneva is a rare breed of city. It's one of Europe's priciest. 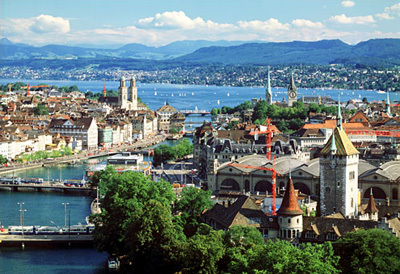 Its people chatter in every language under the sun and it's constantly thought of as the Swiss capital - which it isn't. 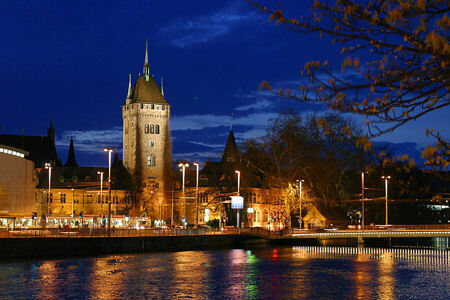 This gem of a city superbly strung around the sparkling shores of Europe's largest Alpine lake is, in fact, only Switzerland's third-largest city.Yet the whole world is here: the UN, International Red Cross, International Labour Organization, World Health Organization. You name it, they're in Geneva; 200-odd top-dog governmental and nongovernmental international organisations meting out world affairs with astonishing precision and authority. They fill the city's bounty of plush four- and five-star hotels with big-name guests. They feast on an incredulous choice of international cuisine, cooked up by restaurants to meet 'local' demand. And they help prop up the overload of banks, luxury jewellers and chocolate shops for which the city is known. Strolling through manicured city parks, sailing on the lake and skiing in the Alps next door are hot weekend pursuits. But, ask critics, where's the urban grit? Not in the lakeside with its tourist boats, silky-smooth promenades and record-breaking high fountain. Not in its picture-postcard Old Town. No. If it's the rough-cut side of the diamond you're after, you need to dig into the P�quis quarter, walk west along the Rh�ne's industrial shores or south into trendy Carouge where rejuvenated factories, alternative clubs and humble neighbourhood bars hum with attitude. This is, after all, the Geneva of the Genevois�or as close as you get, at any rate.